Tonight there will be a fashion show in which only princesses will take part. Someone should help them choose the dresses in which they will walk on the catwalk among hundreds of spectators. I think you will easily lend a helping hand and help our beloved princesses. At the Fashion Show Princesses dress up game, you will be met by Cinderella, Merida, Rapunzel, and Moana, whom you can choose one by one and start picking up a fashionable outfit for them to perform in the show. 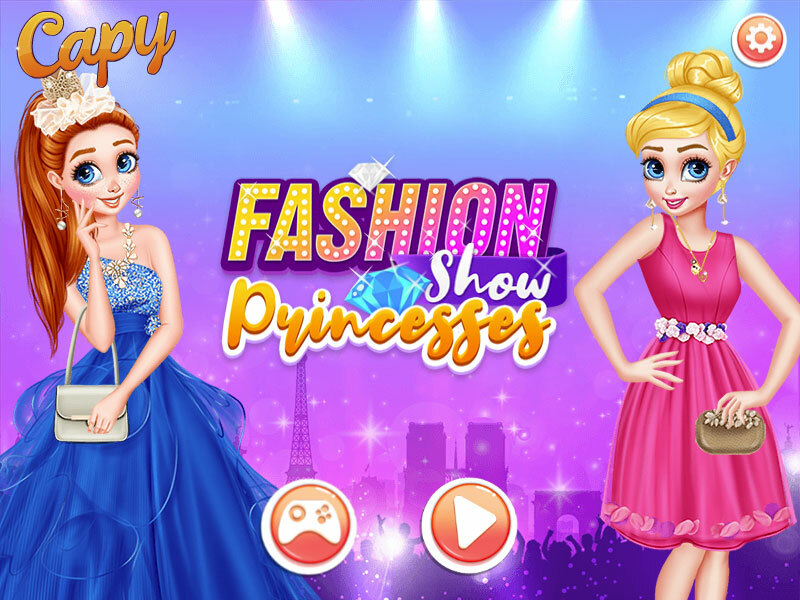 If you like this dress up game with princesses, I recommend looking at other makeup girls games. Here you can create a new image, choose the color of lipstick, eye shadow, clean the skin and choose a hairstyle. It is very interesting! Played: 2097. Added: 6-02-2019, 09:54.